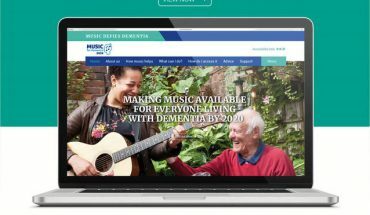 A new safety campaign in Canada is using virtual reality videos and other digital media resources to save lives. They are useful technologies to be sure, but the most impactful element of the campaign may be its real-world re-enactments. Every year, dozens of Canadians – especially young Canadians – are killed or injured around railway tracks and trains. They may be simply walking or biking near the tracks, but often, ATVs (all-terrain vehicles) are involved. 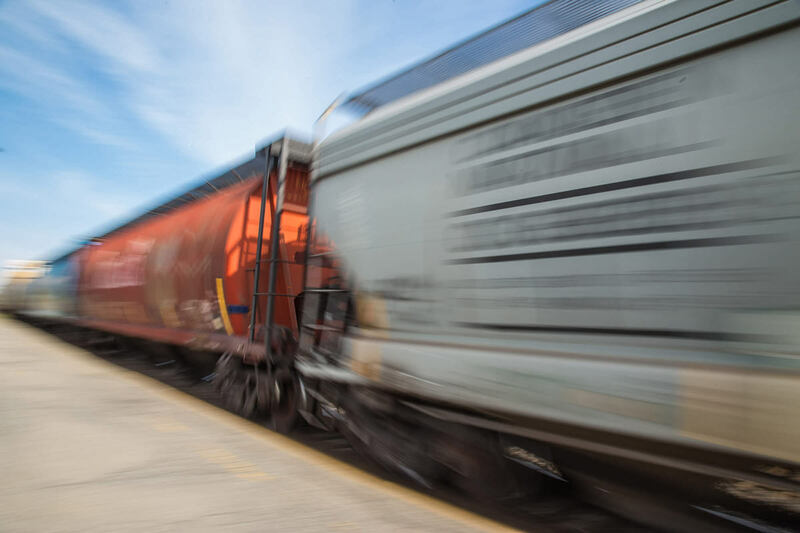 According to the country’s Transportation Safety Board (TSB), there were 222 railway-related incidents in Canada last year; there were 72 deaths and numerous injuries. Through June of this year, 26 such fatalities have been recorded. Operation Lifesaver is dedicated to reducing those deaths and injuries, and its current Canadian safety education campaign reminds people to be extra cautious around trains and railway tracks and nearby properties. Of course, tragic accidents are devastating for the individuals involved, their friends and family, but also for railway employees, first responders and local communities. Operation Lifesaver says these incidents can be avoided. It’s running a national public rail-safety program sponsored by Transport Canada and major rail companies. Through the Look. Listen. Live. 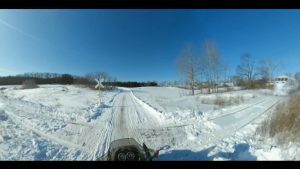 campaign first launched last April, lots of educational materials and safety resources have been created and released, including the VR videos, produced in partnership with the Central Ontario ATV Club. Sound effects and special video techniques are used in the VR video, which can be screened with or without special goggles, but the intention is the same. Sound effects and special video techniques are used in the VR video, which can be screened with or without special VR goggles, but the intention is the same: bring to life the risks involved. Even with the increased use of VR and other media technology platforms to deliver safety training in various setting, accident awareness is also enhanced with real-world mock-collisions and incident re-enactments which tangibly (but safely) show what can happen when all-terrain vehicle riders are on railway property. In one re-enactment, OL’s Maritime Committee partnered with a group known as Prevent Alcohol and Risk-Related Trauma in Youth (PARTY) to host an ATV-train mock collision in McAdam, N.B. Student volunteers from McAdam and Harvey High Schools helped OL pull off the VR video and mock-collision event. 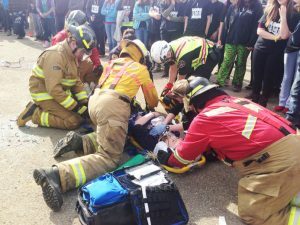 Mock disaster responses are included in the Prevent Alcohol and Risk-Related Trauma in Youth (PARTY) Program, conducted in various locations (Peace River, AB., demo shown). EMS workers assisted in the training exercise. Similar mock collisions have been staged across the country in recent months, and local media and community members are invited to see first-hand what can happen if off-road vehicle operators don’t exercise caution at railway crossings. 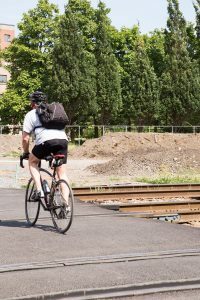 Operation Lifesaver (OL) has also launched a community participation program in which rail and other traffic crossings can be marked, even resurfaced, as a way to increase visibility and raise awareness about the need for people walking, cycling or and driving to be extra careful around railway crossings. Rail and other traffic crossings can be marked, even resurfaced, as a way to increase visibility and raise awareness. In partnership with with a Canadian tech company called HUB Surface Systems and the City of Vancouver, OL has identified locations where special rail safety decals can be installed. The decals, roughly sized in a metre-by-metre square, are yellow and diamond-shaped — similar to traffic warning signs — and feature a black silhouette of a train, as well as the phrase Look. Listen. Live. 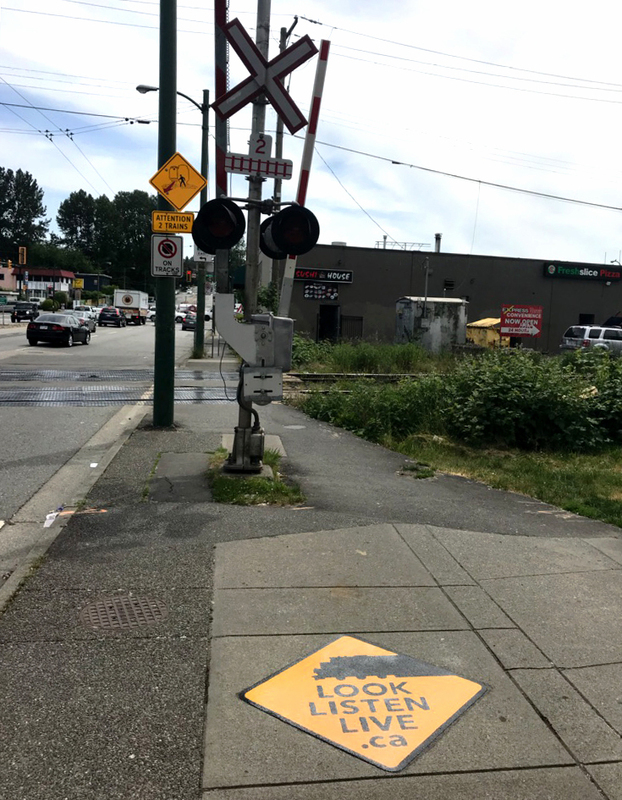 Decals have already been installed at Vancouver’s Renfrew Street crossing, with plans to install them at the Union Street and Venables Street crossings as well. “[T]his program provides us with the necessary tools to increase public awareness of rail safety and help prevent tragic crossing incidents from happening,” said Jerry Dobrovolny, General Manager of Engineering Services for the City of Vancouver. The City recently installed train presence technology and monitoring devices that track the frequency and duration of trains at key crossings, with opportunities to rehabilitate sidewalks near rail crossings, improve pavement markings and develop real-time alerts for people driving in the vicinity. That website is where visitors can also find more information about how to stay safe around railway tracks and trains, including OL’s VR video and a helpful tip sheet. A special safety initiative there specifically targets Indigenous and First Nations communities, areas often cross-crossed by rail lines. There’s also details about the Roger Cyr Award for rail safety initiatives, named for the founder of Operation Lifesaver. Not coincidentally, all the rail crossing safety initiatives will lead to Rail Safety Week in Canada, which will be held September 23-28 this year. Operation Lifesaver is making use of VR videos, online resources and new technologies in a campaign to reduce deaths and injuries around railway tracks and crossings.